North Forest ISD received word last Friday that the state Texas Education Agency had agreed to “abate” their closure order for one year. This means that instead of forcing North Forest to merge with Houston ISD on July 1, 2012, the district will have a new deadline, July 1, 2013. However, in a lengthy legalistic “Record Review” report ongoing for 36 pages, the TEA Commissioner Robert Scott gave the district some good news and some bad news. The bad news was that TEA rejected all the arguments presented by North Forest and their attorneys in a Record Review meeting held in Austin in February. But the good news was that in spite of that, and perhaps with an ear to the politics of the situation, Scott said that his appointed Conservator Kay Karr had reported progress in the three areas of deficiencies, and he felt there was a possibility that the district might solve its problems and allow TEA to vacate the closure order in 2013. Scott’s earlier decision, in November 2011, to close the district and merge it with HISD, had been under heavy criticism by Congresswoman Jackson-Lee, other local state representatives, and the North Forest community. Commissioner of Education Robert Scott issued the attached order in the North Forest revocation case this afternoon. The commissioner abated the accreditation rating of “Not Accredited–Revoked” for one year due to legal technicalities and the uncertainty of swift preclearance by the U.S. Department of Justice. While North Forest will remain an independent school district and will not be merged with Houston ISD this summer, the abatement requires North Forest to comply with a number of academic and financial requirements, which are spelled out in the order. — Accreditation Status, with low test scores for students, especially at the high school. East Aldine residents met last Thursday night, to hear several law enforcement officers bring them up to date on crime fighting in the community. “March on Crime” was the title of the meeting, with emphasis on crime prevention, nuisance abatement, and community resources. Present at the meeting were about 75 people, including the sheriff, deputies, county officials, and many residents of the area. Sheriff Garcia explained his new program to hire 100 new personnel, and release about 60 deputies for active patrol. He also emphasized a catchy phrase, “SEE SOMETHING, SAY SOMETHING” as a simple but effective way to help the Sheriff’s office fight crime as it is being committed. Another tool is the HCSO website, www.iwatchharris county.com, where tips about crimes can be reported anonymously. 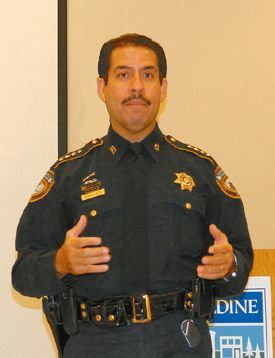 Two other suggestions Garcia made were to support the East Aldine District, and use their resources, which he praised, and also to have the youth in the community join the Sheriff’s Explorer’s program, where they can learn about crime-fighting and perhaps join the department after they are adults. Brown said that to achieve the goal of less crime, residents need 1-more involvement, 2-more knowledge. He said listen to your kids, your neighbors, your leaders, and the deputies. Also presenting were Deputy Ortega and Health Department’s James Norred, on the procedures for abating nuisances. Deputy Adams spoke on Neighborhood Crime Watch, and Deputy Luna pointed out that a Citizen’s Police Academy class (CPA) is starting soon. 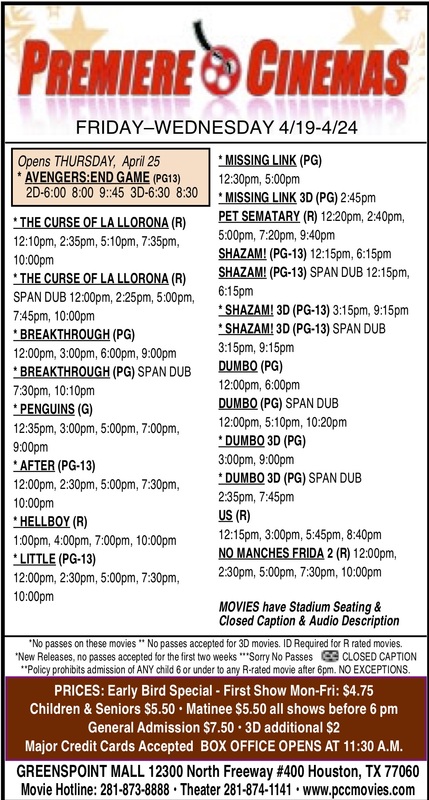 Contact the storefront if you are interested at 281-449-6600.